In this video shot at various Southern and Northern California affiliates in November, CrossFit Inc. 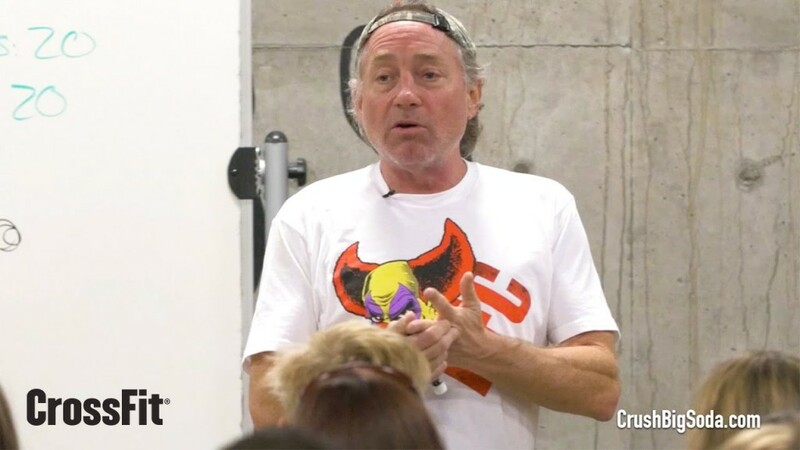 Founder and CEO Greg Glassman talks about Big Soda and California Senate legislation that would require a health-warning label on sugary beverages. SB 203 was introduced in February but failed to make it out of committee, and Glassman is calling for a renewed push in the winter legislative session. In addition, Glassman explains manufacturers of sugar-sweetened beverages manipulate science, contribute to injurious and even fatal hydration guidelines, and sponsor health and fitness organizations such as the National Strength and Conditioning Association (NSCA) and the American College of Sports Medicine (ACSM). Through membership in the United States Registry of Exercise Professionals (USREPS), both organizations support licensure of fitness trainers—a measure that would criminalize CrossFit trainers. “The wholesale corruption by Big Soda (and) by the American Beverage Association and its constituent members has been devastating,” Glassman says.